The picture shows a man gathering water from a landing point on the river, while his companion stands next to him. 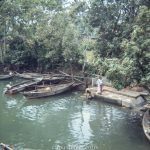 Along the bank, there are boats moored, some motorboats and some more traditionally propelled. 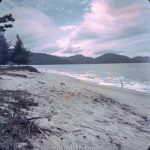 I’m assuming the water he is gathering will be used for washing – it doesn’t look suitable to drink. 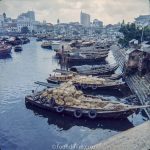 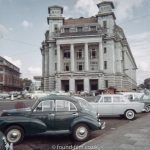 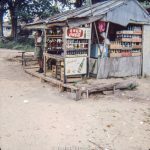 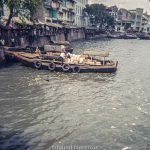 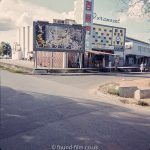 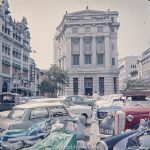 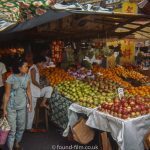 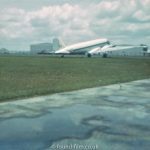 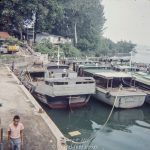 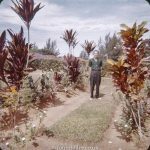 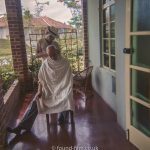 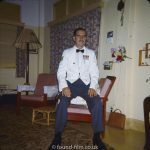 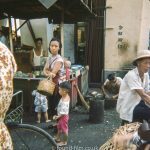 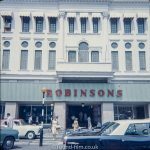 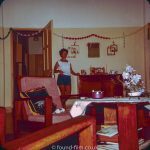 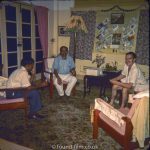 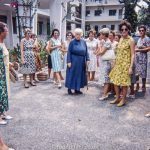 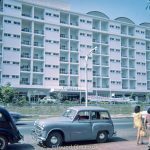 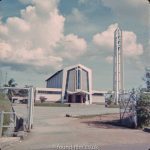 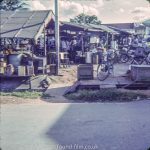 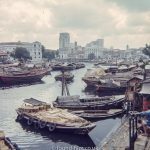 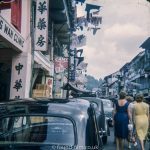 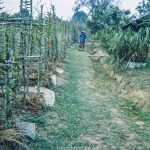 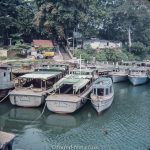 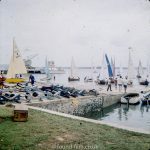 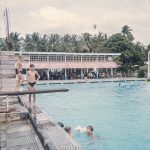 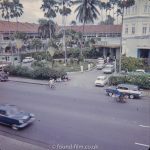 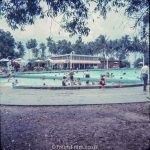 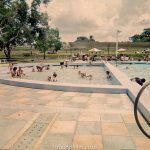 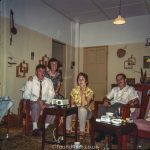 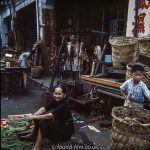 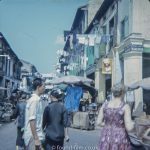 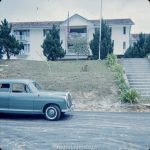 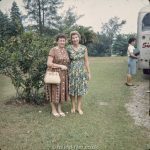 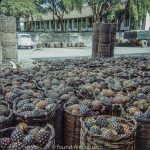 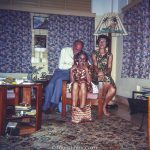 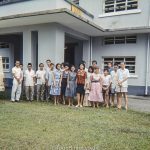 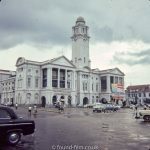 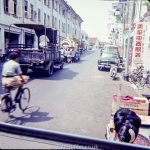 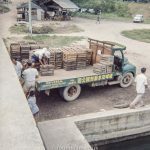 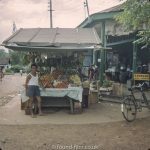 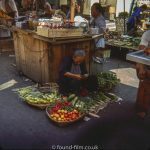 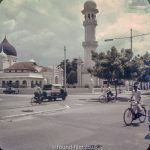 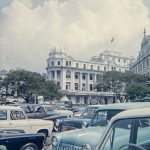 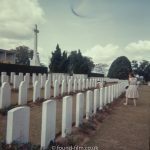 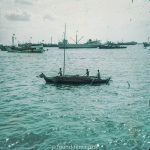 This picture was taken in Singapore in the early 1960s on 127 format colour slide film. 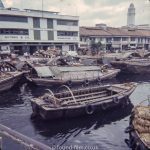 The actual location is unknown to me, but there are many waterways around Singapore and it’s likely this was taken on a boat trip or holiday around the island.